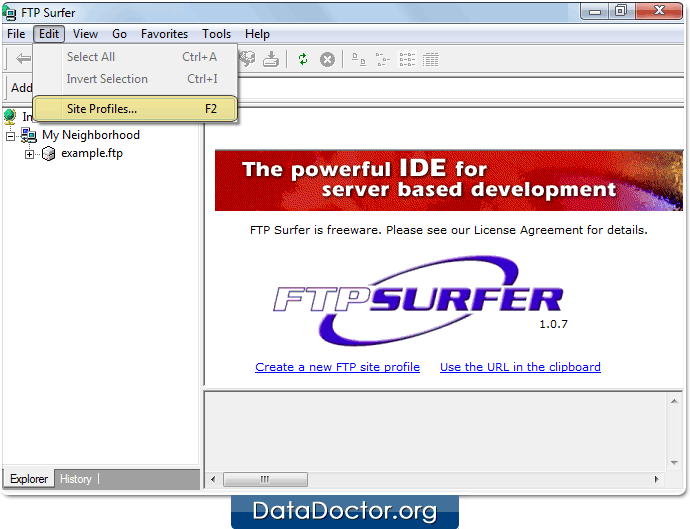 Password Recovery For FTP Surfer reveals multilingual, special character, complex, lengthy and hidden passwords from FTP Surfer. 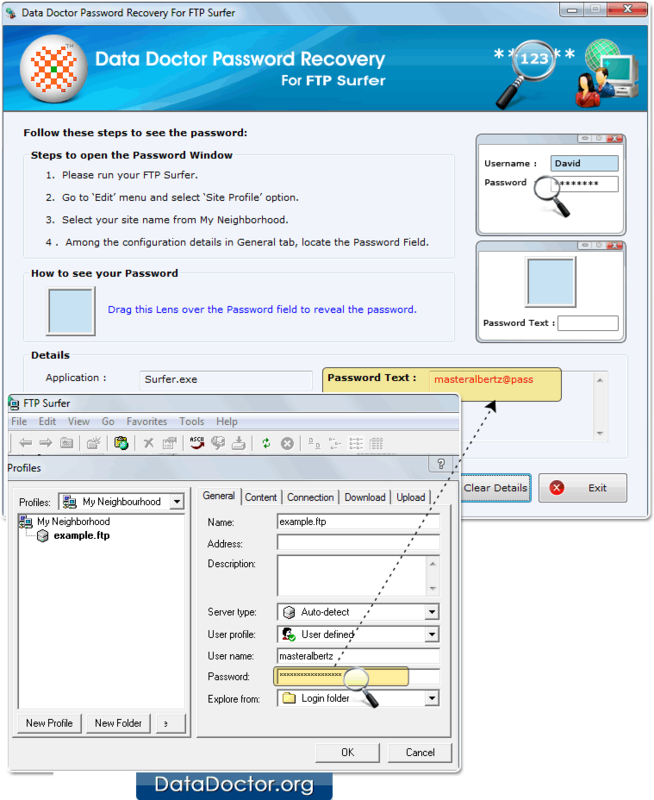 Password retrieval tool supports all latest versions of Windows operating systems. 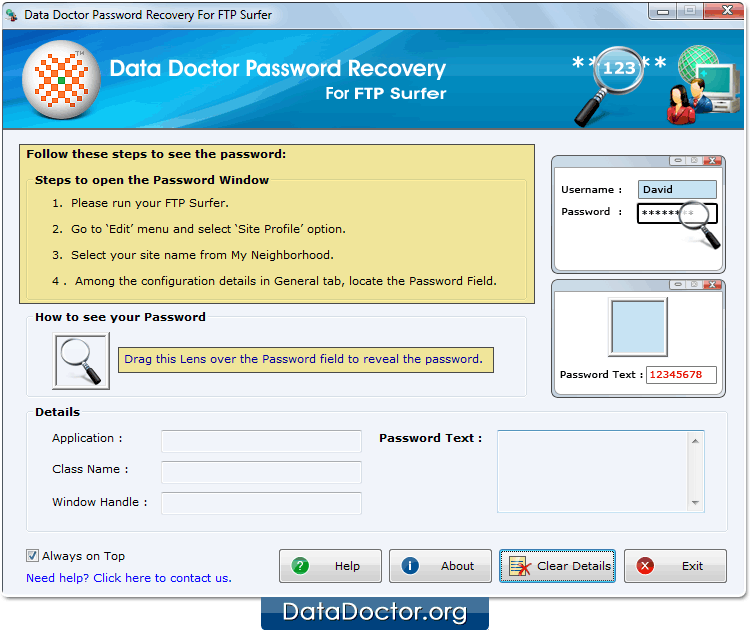 Install and Run Password Recovery Software For FTP Surfer. Select ‘Site Profile’ option from ‘Edit’ menu. Choose your site name from My Neighborhood. 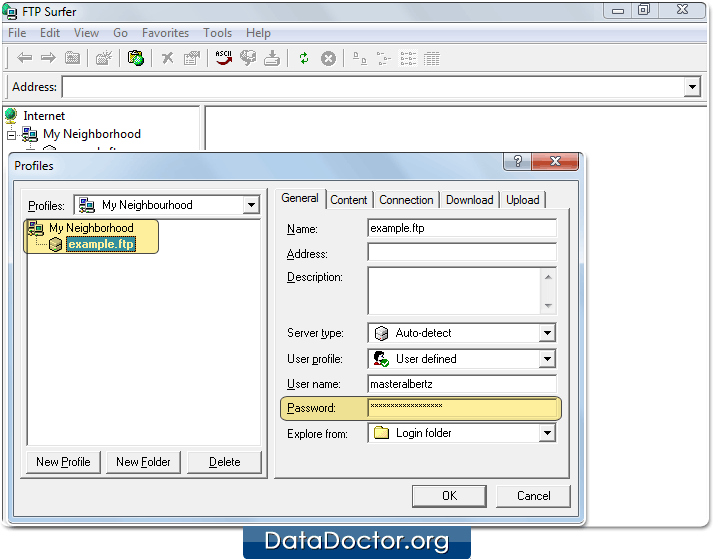 Locate password field among configuration details in General tab by dragging lens over it.